Summer is a lovely time in Hoboken. With temperatures ranging from the 60s to 90s, there are ways to explore the outdoors without sweating up a storm. In and around Hoboken, you will find classic summer activities such as water parks, outdoor movies and even the beach that will create memories to last a lifetime. Here are a few ideas to en400tertain your kids, and yourself, during the summer in Hoboken. There’s nothing like a nice cold ice cream cone on a hot summer day. Ice cream in the summertime is as much an American tradition as apple pie and baseball. Watch your kids’ faces light up once they see the wide assortment of ice cream flavors, and a jaw dropping selection of toppings. Taking the kids out for ice cream is a great way to lower body temperature and, for better or worse, get some sugar rush energy. Torico Ice Cream in neighboring Jersey City is a long-standing classic Jersey shop with an amazing array of flavors. The Shore may get a bad wrap sometimes, but Jersey beaches are actually loads of fun and a memory every child growing up in New Jersey will treasure. During the summertime, hitting the beach at Newport Green is a fantastic way to get some vitamin D from the sun and enjoy the breathtaking city landscape. 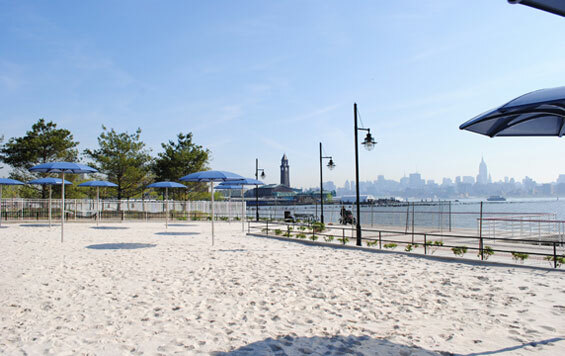 You can even Kayak against the beautiful cityscape at a beach right in town at Hoboken Cove Boathouse. 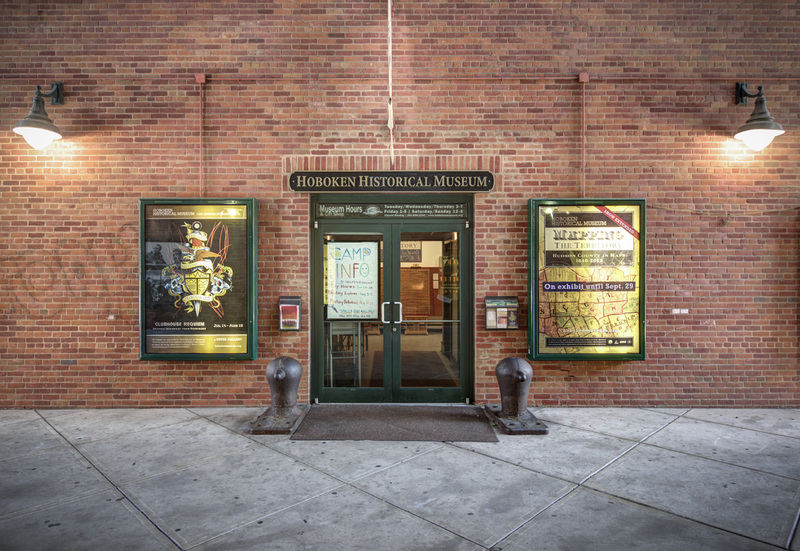 Going to the Hoboken Historical Museum is a great way to teach kids (and yourself) some of the rich history associated with Hoboken. A museum trip is a fun and educational way to dodge the hot summer sun. 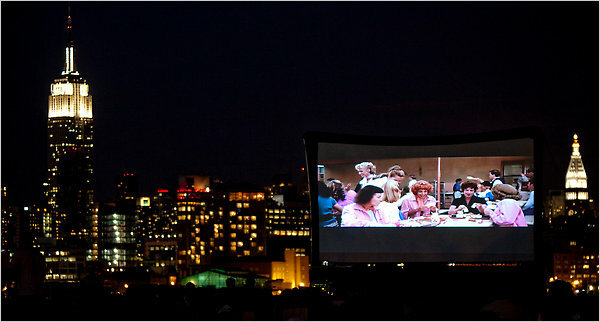 When the temperature starts to drop to a brisk 60, an outdoor movie could be the perfect activity for the whole family. Bring some blankets and snacks and enjoy a free outdoor movie screening on Pier A on Wednesdays in June, July, and August, starting at sundown. If the movie doesn’t catch your attention, the backdrop of the city illuminated at night surely will. What’s a better way to inspire some healthy eating habits than taking your kids to a fresh farmer’s market full of delicious and nutritious fruits and veggies? The Hoboken Farmer’s Market is open on Thursdays from 2 PM to 7 PM at Uptown, and Tuesdays from 2 PM to 7 PM Downtown. This is a great way to balance out your ice cream adventure! 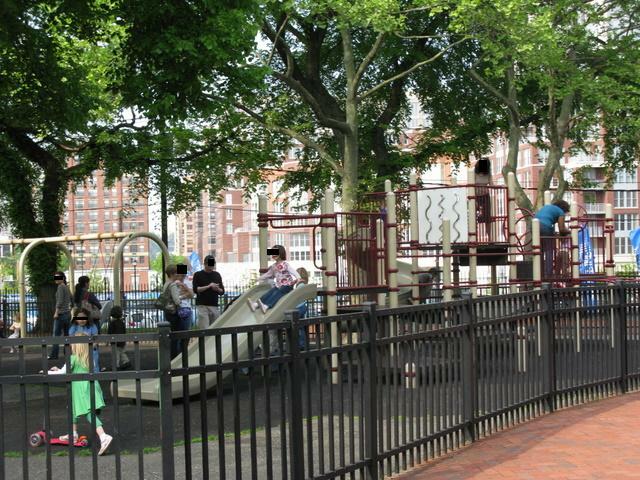 Hoboken has some great parks with outdoor games and classic park activities. Church Square park and Elysian park are two great parks in Hoboken filled with different types of playgrounds for kids of varying ages. Meet up with some friends and enjoy the lovely New Jersey summertime weather while your kids burn off energy and make new friends, or simply enjoy the pleasant view of watching your children have fun. These activities will help your kids form great childhood memories of their summers in Hoboken.